Posted on 22/05/2013 by U.N. The blast furnaces No.1&2 at Wheeling Pittsburgh’s former Steubenville North plant will be chopped down by an implosion demolition in June. Furnace No.1 was built by the La Belle Iron Works in 1901. 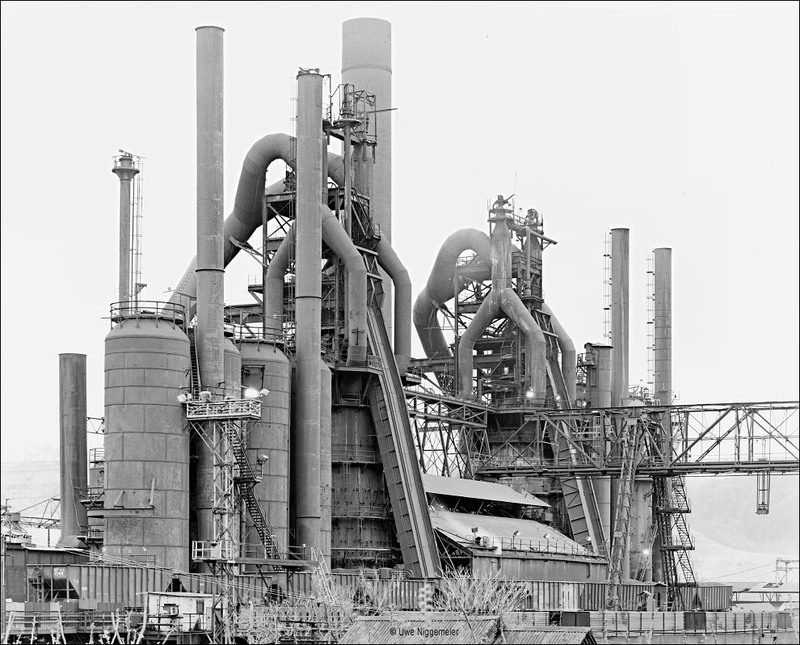 It was in operation until May 2005 when it was the oldest active blast furnace in the U.S. . It has a hearth diameter of 7,5 meters and a working volume of 1050 m³. The No.2 furnace was built in 1904 and idled earlier. The image was done in April 2004. This entry was posted in Gallery, News, Works and tagged Blast Furnace, RG Steel, Steubenville, USA, Wheeling Pittsburgh by U.N.. Bookmark the permalink. 1901, that´s even older than that Clabecq one… damn. So which next? Mingo? I guess it’s the shale gas boom. New infrastructure needed. Furnaces that old would have been listed in Germany long ago.